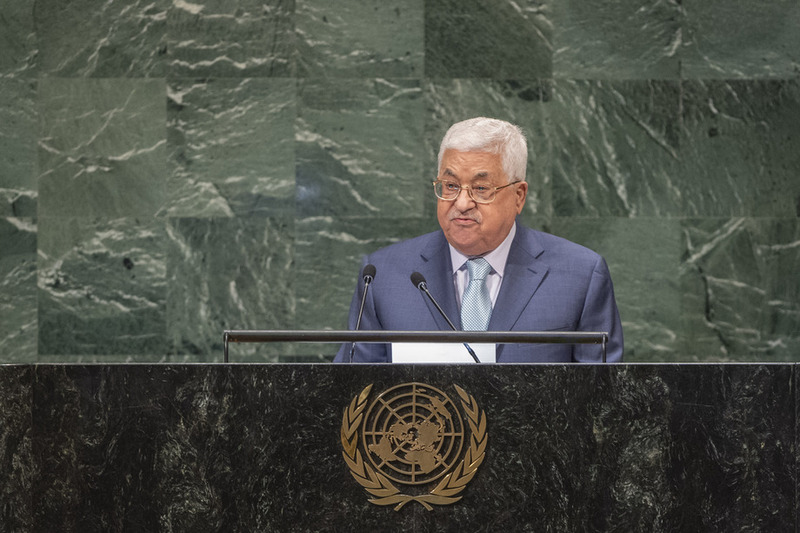 MAHMOUD ABBAS, President of the State of Palestine, said he has returned to the General Assembly to appeal for the freedom, independence and justice for his oppressed people who have been suffering under the yoke of Israeli occupation for more than 51 years. He recalled this year’s decision by the Palestinian National Council to suspend Palestinian recognition of Israel until Israel recognizes the State of Palestine. That Council also decided to approach the International Criminal Court to investigate Israel’s treaty violations and acts of aggression by Israeli occupying forces. The “Nation-State Law of the Jewish People” adopted by Israel in July is a racist law that will lead to the creation of an apartheid State and nullify the two-State solution, he said, calling on the international community and the General Assembly to declare it null and void, just as they condemned apartheid in South Africa. He expressed shock at decisions taken by the President of the United States to close the Palestine Liberation Organization office in Washington, D.C., recognize Jerusalem as Israel’s capital, transfer the United States Embassy to that city, and end support to the Palestinian National Authority and the United Nations Relief and Works Agency for Palestine Refugees in the Near East (UNRWA). He called on the United States President to rescind those decisions, which went against international law and United Nations resolutions, and salvage the prospects for peace. He recalled his proposal to the Security Council on 20 February for an international peace conference based on relevant United Nations resolutions and internationally-endorsed terms of reference. Palestinians have never rejected negotiations and they continue to extend their hands for peace, he said. There can be no peace without an independent Palestinian State with East Jerusalem — “not some place in East Jerusalem” — as its capital, he continued. Noting that the State of Palestine will chair the Group of 77 developing countries and China in 2019, he called on all countries that have not yet done so — including the United Kingdom and the United States — to recognize the State of Palestine expeditiously. Emphasizing that Israel, the occupying Power, has not implemented any relevant General Assembly or Security Council resolution, including resolution 2334 (2016), and that illegal settlement activity continues, he said the Palestinian people and their State are in more urgent need of international protection that at any time before. Israel and the United States must abide by their agreements with the Palestinians, who will otherwise be unable to uphold their commitments, he said. Underscoring the role of the Quartet for Middle East peace, he said the United States alone cannot act as a mediator because it has too much bias towards Israel. On Palestinian reconciliation, he said the State of Palestine cannot bear responsibility for the failure of Hamas to fulfil its obligations, and he urged the Assembly to ensure support for UNRWA. Despite the injustice they face, the Palestinians will never resort to violence and terrorism. He called on the Palestinian people to remain steadfast and to continue to make sacrifices until independence and self-determination are achieved, with East Jerusalem as their capital.